PVAS has a new app! Our new progressive web application (PWA for short) allows users to conveniently access our website from their phone, without opening a browser and typing in the web address every time. Use the PWA as shortcut to stay up to date with our calendar of programs and access other website features. Once the PWA is installed, it will auto-update with the PVAS website each time the app is opened; allow for offline accessibility; and use a lot less data than most conventional apps. Currently, Android users can install the app by accessing the website through most browsers like Samsung Internet, Firefox, and Google Chrome, while mobile-users with windows installed (e.g. : Blackberry) may have to access the website through Google Chrome or Firefox. As for Apple users, Safari and Microsoft Edge compatibility are expected soon. 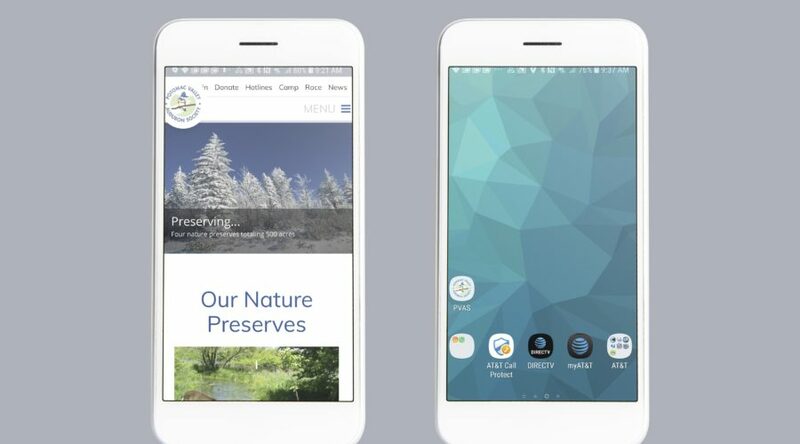 Google Chrome: Go to any page on the website (www.potomacaudubon.org) and scroll up; a pop-up should appear on the bottom of your phone asking to “Add Potomac Valley Audubon Society to Home Screen”; click “add” to have the app appear on your home screen. Firefox and Samsung Internet: Go to www.potomacaudubon.org. Near the web address bar, click the house icon to add the website to your home screen.